I could not have asked for a better, more personal experience. The dr was informative, kind and patient. He explains everythingalong the way and I didn't feel rushed at all. I could not recommend Dr Micheal enough. I could not have asked for a better, more personal experience. The dr was informative, kind and patient. He explains everything along the way and I didn't feel rushed at all.I could not recommend Dr Micheal enough. 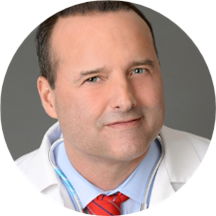 Dr. Brent Michael is a Family Physician and Primary Care Doctor treating patients in the Santa Monica, California area and surrounding communities. He attended Southern Illinois University and completed his Residency in Family Practice at Jackson Memorial Hospital and UCLA Medical Center. Dr. Michael treats patients for a variety of reasons including for annual physical, illness, dermatology consultation, ear infection, acne, psoriasis, and much more. Amazing!! So easy to talk to. Smart and kind. I will be scheduling appointments for the rest of my family . I thought Dr Michael was great! He was extremely knowledgeable, relatable and easy to talk to. Would definitely recommend him to my friends and family. Great doc, very knowledgeable and great at explaining what was going on. Seemed to a really decent guy too. This office is not respectful of patient time. First we had to reschedule because the times they have listed in ZocDoc aren’t actually available, which I only learned after I called to confirm my appt day of. Then I arrive 5min early for my rescheduled appt and after 45 min still had no been seen and was told another patient was still ahead of me. Stop overbooking appts! I highly recommend Dr. Michael. He was extremely kind and through on my first visit. Looking forward to going back to him. Dr. Michael is seriously the BEST physician I’ve personally seen. He really took the time to listen to my concerns, answer any questions, and gives constructive feedback on one’s lifestyle. I would highly recommend him to anyone looking for a kind and caring physician. Horrendous wait time for a good doctor. I've been looking for a doctor like Dr. Michael for years and finally found him. He takes a holistic approach to evaluating his patients and is very thorough in his exam. I would highly recommend!! Like many others have noted, the doctor is kind and thorough. However, the wait is absolutely atrocious. Multiple times I've had waits of over an hour just to get a room, and then I've had an additional hour waiting for thedoctor to see me. There's really no such thing as a quick appointment here. Give yourself at least 4 hours for a thorough exam, and go to a walk-in clinic or Teladoc if you have an urgent need. Very professional and personable!Definitely, will be my primary care doc going forward. Dr. Brent is so knowledgeable & friendly!! I would highly recommend him to anyone looking for a doctor! Horrible wait, unfortunately true like the rest says. They tell it's because he likes to gives time to his patients (which I totally understand), but then told them they're not good at managing his time and respect for patients. Just takefewer patients... Unless you're in it for the insurance dollars. He was nice enough, but def like to hear himself speak. Doctor Michael is very personable and informative. I've never had a doctor who I felt genuinely cared about working together to improve my overall health. Doctor Michael addresses biological health as well as mental health. I look forward to continuing my patient doctor relationship with Doctor Michael. I was disappointed with the wait time between when I was checked in and when Dr. Michael saw me. My urine sample was taken, and the nurse let me know that it came back clear. Though I like Dr. Michael, andit was good to see him, I was not pleased that the majority of the conversation was simply confirming what was told to me an hour prior. Several issues I noticed: 1. The office is very old-school, doing everything with paper files. When I asked for digital copies of test results, they were unable to provide. That's crazy for 2017, and in a major medical hub in WestsideLA. 2. Dr. Michael rambles a lot and wouldn't let me get a word in to even explain symptoms or issues I was having. I think this is well-intended, he's trying to explain things, but he's not very good at listening. 3. I was charged for procedures that were not performed. Look it's not much after insurance, but that's some shady stuff, and it makes me very skeptical of returning to this doctor. 4. (Trivial) They got confused about my appointment timing on 3 separate occasions. This is a minor inconvenience, but speaks to the quality of record keeping and the sync between ZocDoc and their office. 5. (Trivial) The parking in the building is pricy, and there wasn't much street parking. On the positive side, I felt they did an exhaustive exam, and I found Dr. Michael to be fairly knowledgeable, but the negatives above will see me changing my PCP in 2018. I hadn't seen a doctor in many years & Dr. Michael was exceptional! I've never walked away from a doctor feeling more taken care of, listened to and the staff was super friendly! They are AWESOME! Highly highly recommend! Though I adore Dr. Michael, I won't be returning to see him due to his extremely problematic support staff. In the two years I went to Dr. Michael, I had lab tests forgotten to be ordered, long wait times, my namewrong on all forms despite my corrections, and multiple extremely irritating billing issues. One example: I have excellent PPO insurance through my employer which covers a physical 100%. Through Dr. Michael, the physical was mislabeled as a regular office visit and accumulated thousands in bills, broken up in multiple bills which were very difficult to track down and correct. One slipped through the cracks and landed me in collections, despite the fact that it should have been free. I've since fixed the issue, but it took months. Dr. Michael is sweet, intelligent, and professional, but I will not be returning. Wait times can sometimes be long but otherwise this was a pleasant experience and the office has a lot of capabilities within their walls. Dr. Michael is incredibly informative and professional. The wait is a bit long though! The people that work at Dr. Brent's office are very polite and helpful. However they always overbook patients and literally have 4 pateints waiting for an appointment on the all scheduled in the sam time. Everytime I go the appointment theymake me wait at least an hour to see the doctor, then when I see the doctor if takes another hour or more to finish my appointment with Dr. Brent. I doubt that I will working with Dr. Brent's office again mainly because of the ridicuoious amount of waiting time. Also not to mention, I had an appointment in the morning and it took the office 4 hours to get me the perscription. The pain was doubling and when I called the office they werent helping at all I had to suffer while they took thier time. I am writing this review for people that are thinking of coming in for a visit, dont even bother. The wait is so long and the facility is OKAY so there is not much you are missing here. Trust me if you come here you'll spend most of your time waiting and thats exactly what I'm doing right now. I have been waiting for most 1.5 hours and I havent seen Dr. Brent yet so I decided to write this review and he still didnt show up. I really enjoyed my visit with Dr. Michael. His staff was friendly, and the physical exam was thorough. I appreciate his attentiveness and patience in listening. He was professional,, informative & personable. .
Dr Michael is one of the best doctors in the country, which will be confirmed in researching about him or mentioning him to other physicians. Having had two muscle diseases, I have been to at least 60 doctors around the world.Dr Michael was the first doctor to be able to get rid of my pain without schedule one medications or any heavy pain medicine. In addition, he was able to connect me with the top doctors that take months to book where I was immediately taken in as a favor to him. He is extremely well connected and respected by his peers. Wait times to see him can take a little bit longer but the main reason for that is he spends a great deal of time with you to go into detail with your health, create records and alleviate any of your concerns. In addition, his office is able to do multiple laboratory testing's all in house as they have an array of equipment and talented staffing trained to carry out multiple procedures as needed. Dr michael can coordinates with multiple doctors if needed on your behalf. Caring about your patients might be one of the most important aspects of a doctor and Dr Michael couldn't be more dedicated or more passionate about his work. Ask any of his patients and you will get the scope to which he works and the detail and care that make him such a great find. Everything was great except for the wait time. Sometimes the wait can be a bit long, but its fully worth it. Dr. Micheal takes the time to fully discuss everything with you, and make sure you fully understand. Dr. Michael is very personable and thorough. This was my first visit with Dr Michael and I was really impressed with every aspect from check-in, to testing, to his consultation. He went over my multiple medical issues and all of my prescriptions and gave me a clear course of action. Only negative is parking quite expensive. Sat in the waiting room for an hour and a half after my appointment was scheduled. I don't care how great your bedside manner is that is unacceptable. They need to fix their appointment scheduling to not try and cram patients in. He is very thorough and truly cares about the health of each patient! Asked for a certain medication and was not given what I was used to get and wanted. Something that I know works so a bit nervous to be on new medication. Wish I could have just stuck with what I wanted/felt comfortable with. The wait time at this place is ridiculous! The front desk staff is incredibly rude. I have called 4 times in the last week to get my test results and each time the receptionist acts as if I am asking forher first born. They refuse to release medical records/results unless you make a followup appointment. Ordinarily this would not be a problem; however, given that a 30 minute appointment ends up being 5 hours I would like to avoid ever going back here. There are so many great physicians in the same building, if you care about your health and sanity I would suggest seeing another physician. Dr. Michael did a great job explaining everything that he was doing for my check-up, as opposed to just "checking up" and escorting me out of the office. Absolutely wonderful experience so far with Dr. Brent Michael. Very good listener, and genuinely interested in helping you. Everybody was very kind, attentive, and helpful. Very happy to have found him! Very personable and knowledgeable. Took the time to get to know me upon my first visit. Incredibly personal and professional, Dr. Michael was very through in his breakdown of the appointment and ensured that I felt comfortable about everything. The wait time was a little long, and with the thoroughness it took a long time, but it definitely all came from a place of care. Super cool and knowledgable. Made me feel very comfortable with his insights. A very bright, caring, critical thinker with a high emotional quotient - how many doctors have that? I was prepared that there may be a bit of a wait due to reading previous reviews, so I wasn't too worried about that. Once you're with Dr. Michael, he's attentive, informed, and goes over your information/options/suggestions with you thoroughly and makes sure you understand. I highly recommend seeing him!